This show is episodic to where we see a new adventure every time with nearly no references to any prior episode minus two episodes. Is that a bad thing? No as it is very appropriate for a show of this nature. I did like the stories for most of the episodes and I especially liked the episodes based on classic fairy tales. The show is very entertaining with a lot of charm and humor that kept my eyes on the television. All the episodes are also very basic to where you will not need to keep your brain on to keep up with the show and again it wasn't bad and very appropriate and you can watch it at a very relaxed pace. There are some scenes that were over-the-top but you won't become bothered by it but rather entertained instead. The fairy tale episodes are all over-the-top but that's a very appropriate time to be real over-the-top. Each episode also includes animated music videos that adds another layer to the show and I enjoyed a good amount of them but some of them were oddly placed into the show and some of them had some creepy stuff going on that just felt weird. Some problems I have with the show is that some episodes felt a little too long and stretched out to fit the thirty-minute time slot but could've been halved. Heck they could've taken some of the drawn out episodes, halved them, and then turn them into one whole episode. Another problem is that there are some inconsistencies with the character Rosie as in half of the episodes they address this pink snake as a girl and in the other half they call her a boy... So which one is it? My third problem I have with this show is that there is a laugh track and it wasn't used very well and it'll really throw you off when they use it. The upside is that the laugh track wasn't used very much but still I didn't like the laugh track. My biggest problem is that the third disc (AKA The Complete Season Two) wasn't very good as the episodes felt rushed, had terrible writing, and it also lost all of it's charm that it produced during the first season. Some of the characters like "Rosie", "Ray", and "Charles" had different personalities in this season as they have been changed into idiots and that ruined the characters for me. The only thing worth watching on the third disc was the first episode as it was the final episode of season one and was also one of the best episodes of the show. 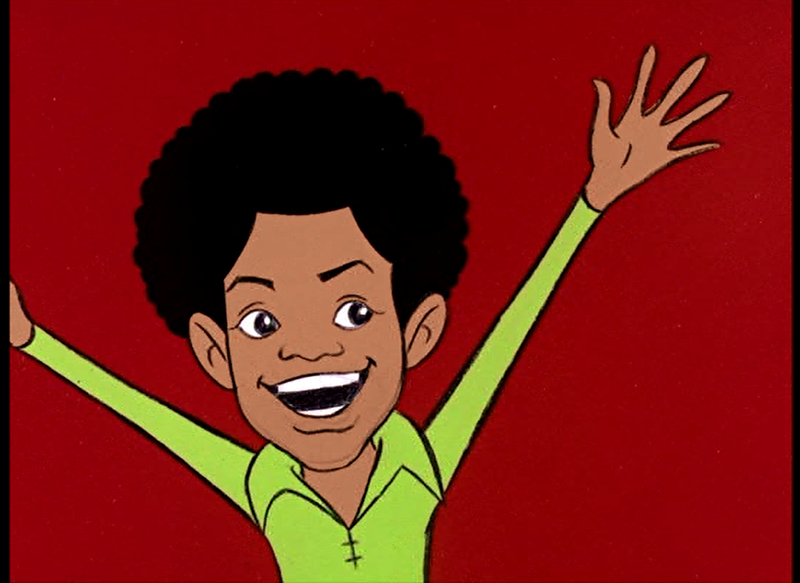 They got the Jackson characters just right in this show with fun personalities that come off as very charming. There were some side-characters that were also good like "The Record Producer" and "Hairy Godfather" that had just as much charm but there were also a lot of dud characters in this show that you won't feel anything for. Season Two was dreadful with the characters and minus Michael Jackson we have some very boring, uninteresting, stiff characters with no soul in them and it made for a boring watch. The artwork in this show is very basic and uses the same style as the old Hanna-Barbera cartoons and it also has an aged look to where you'll see faded art-work, film-grain, plus you'll see some art mistakes like belt-buckles appearing and disappearing before your very own eyes. I like the designs for the Jackson Five as they captured their look very well and you can tell it is them. All the other humans in this show are a bit more cartoony in terms of looks as they have some blobby designs and dis-portioned body parts but it works well with this show. Animation in this show is really smooth and flows very well which is simply great. Some animations in this show were hilarious for the wrong reason as you get some very funny facial expressions that make me laugh every time and some shots that look wrong like when Charles was sticking up two fingers and it looked like that he was flipping the bird. The voice acting in this show is wooden with most of the characters giving some stiff lines but the voices of the characters themselves sounded well. Some voice actors got the acting just right like the voice of Michael Jackson to where he knew what exact character to play and how to read his lines very smoothly. 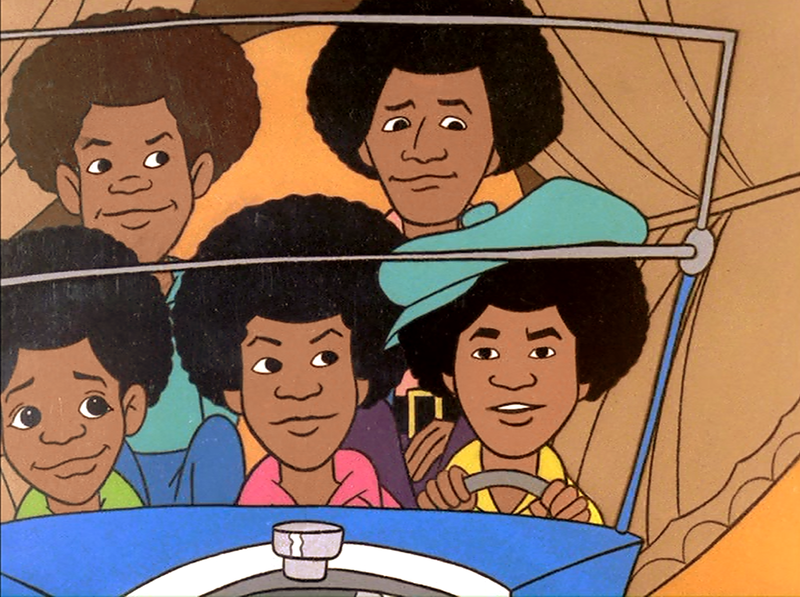 One thing that did surprise me was that the Jackson Five weren't the voices of the Jackson Five and I was amazed that the voice actors sound just like them to the point where I believed that the Jackson Five were actually acting in this cartoon. 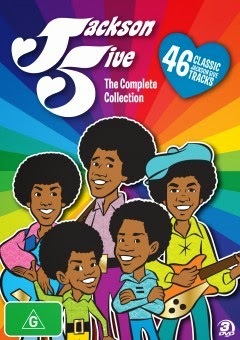 There are a lot of Jackson Five songs used for the soundtrack of the show including the classics such as: "ABC" (from "ABC (1970)" ), I Want You Back (from "Diana Ross Presents The Jackson Five (1969)" ), I'll Be There (from "Third Album (1970)"), plus many, many more. It worked well with the show and really gets you into a very good mood. The songs are the only point in this show where you actually hear the voices of the Jackson Five. 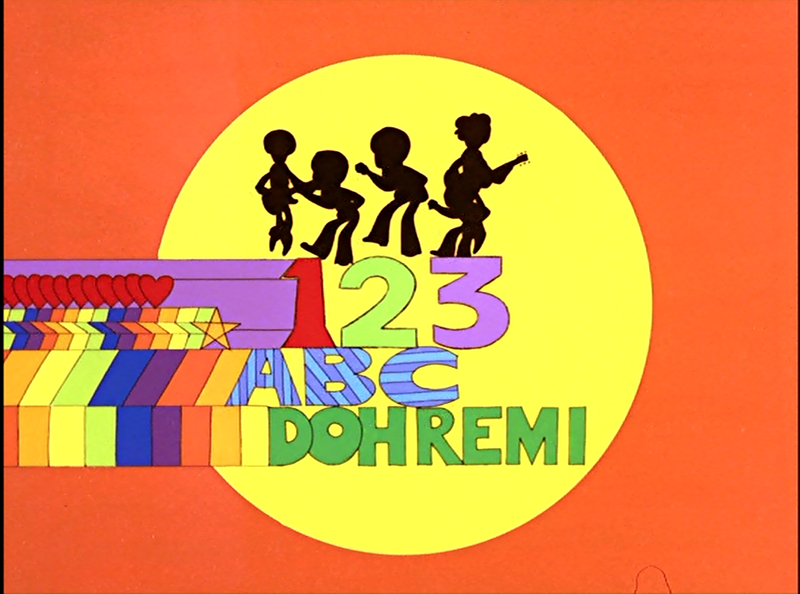 While this show won't appear on any "personal favorite" cartoon lists you will still find enjoyment out of this show nonetheless. Fans of classic cartoons (like me) will appreciate this show a lot and I do recommend this show mainly for them but don't be afraid to check out this series anyway. Classic stuff.